ICEBUG hails from Sweden and if they know one thing then it is how to have good grip on slippery surfaces like ice and snow when you’re out running. The Anima5 BUGrip is a dream come true for us ultralight backpackers and trailrunners as one shoe tips the scales at 280 g in a Size 7.5! 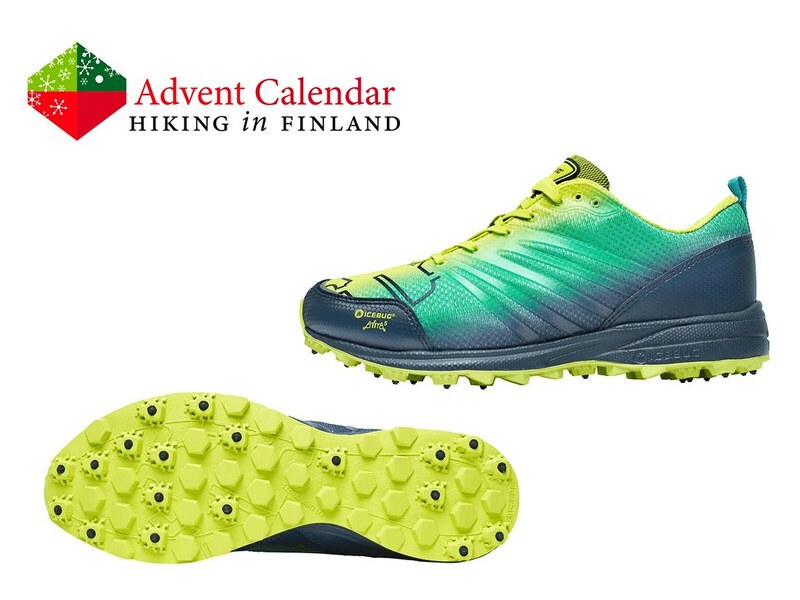 Add in plenty of durable Carbide Tips which will bite into the hardest snow & ice to guarantee great grip as well as the weather shield membrane which is laminated to the backside of the upper textile and which prevents snow, cold air and slush to your feet when conditions are getting rough, and you have a shoe which is made for running in the North from October to April! Disclaimer: Read The Tips & Rules. The prize is sent from within Europe directly from ICEBUG. Possible import duty fees need to be paid by the winner.